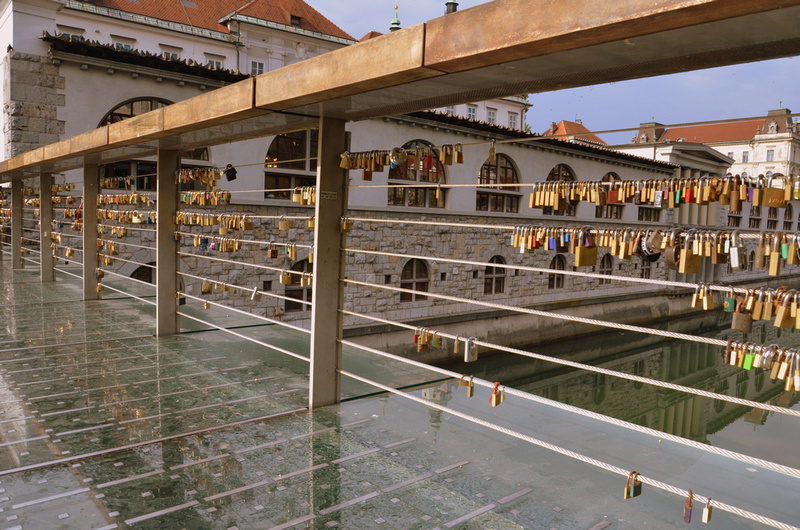 While travelling around Europe I have noticed more cities that have love padlock bridges, such as this one in Ljubljana. I first saw this phenomenon on the Ponte Vecchio in Florence, though the origin of this tradition is unknown. I wonder if the couple who first locked a padlock on a bridge know that they started something? We saw this on a fence in Dubrovnik, but I had no idea what it meant. So far, Europe is the only place I’ve seen this. Here’s my love lock photo from Cologne, Germany. This is the bridge in front of the Dom Cathedral. Thanks for the picture, Connie! The’re also found in China. We saw them at Mt. Tai and the Great Wall. Thanks for the update, it’s interesting to see how far this idea has spread.